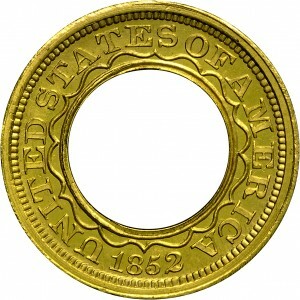 This is a wonderful example of this modified annular gold dollar design featuring a crenulated line separating the statutory legend and obverse perforation. 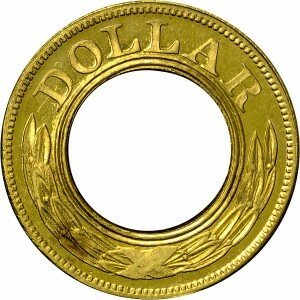 The reverse features an ornamental wreath below the denomination, spelled out DOLLAR. Varieties exist with both thick and thin planchets, distinguished by weight. The Coinage Act of February 21, 1853, reduced the weight of all circulating coinage so that hoarding of precious metal coinage was no longer occurring. 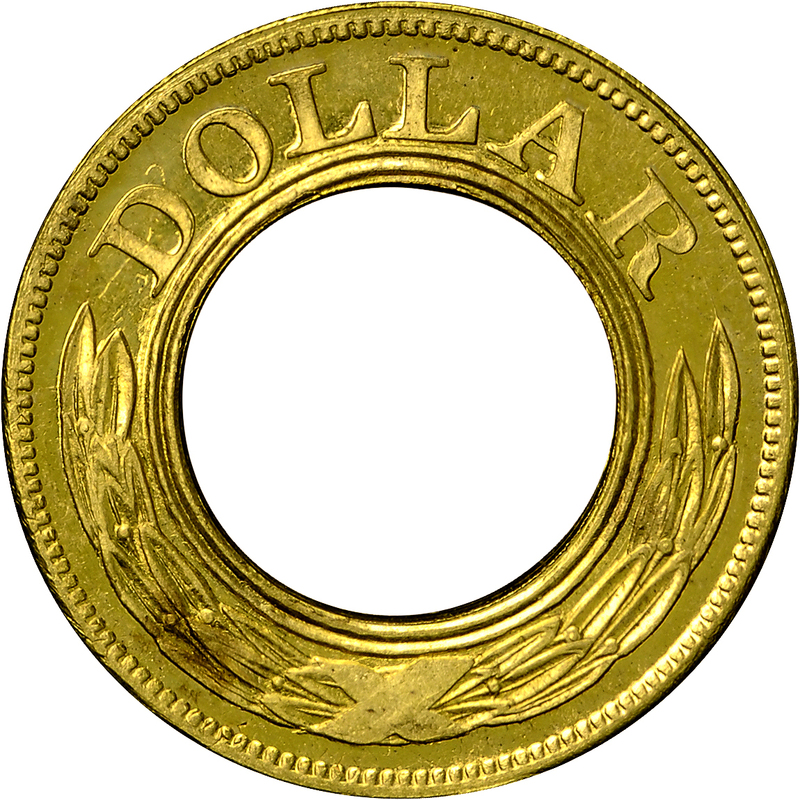 With new circulation of small change, the need for a gold dollar no longer existed. Purchased from Julian Leidman, May 30, 1972, through Michael G. Brownlee via Goliad. 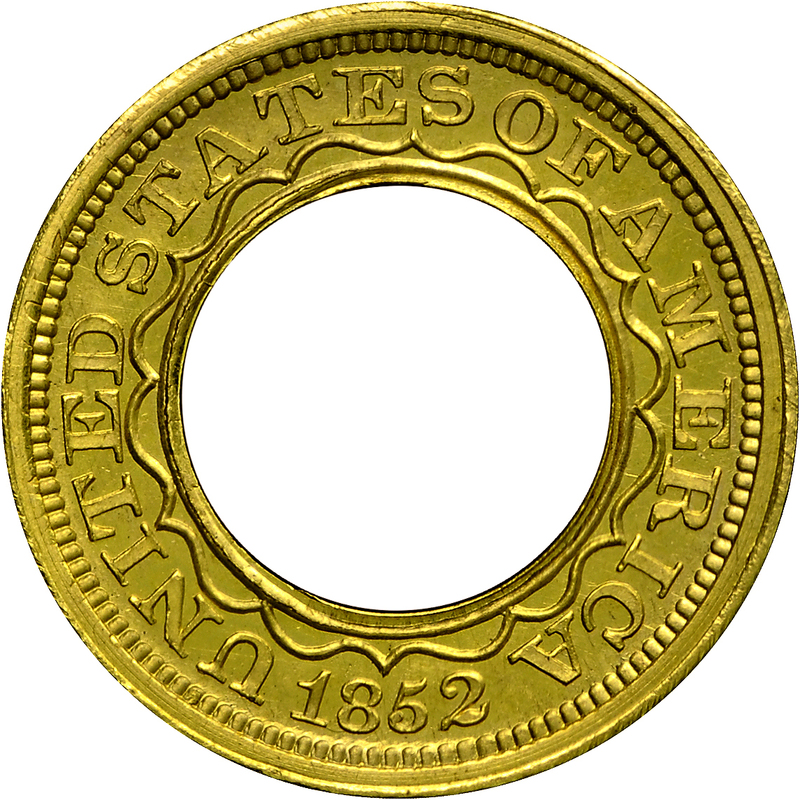 A crenellated line design encircles the central hole, UNITED STATES OF AMERICA around, 1852 below. DOLLAR above, ornamental wreath below central hole.